LEGO: The Lord of the Rings is based on The Lord of the Rings motion picture trilogy and follows the original storylines of The Lord of the Rings: The Fellowship of the Ring, The Lord of the Rings: The Two Towers, and The Lord of the Rings: The Return of the King. Now the entire family can team up in pairs as adorable LEGO The Lord the Rings minifigures to experience countless dangers, solve riddles and battle formidable foes on their journey to Mount Doom. 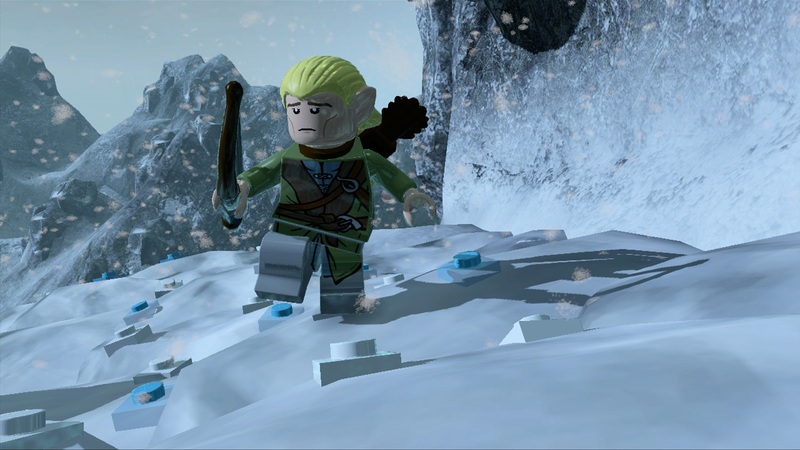 LEGO: The Lord of the Rings takes players along on the adventures of Frodo Baggins and his unlikely fellowship as they set out on a perilous journey to destroy The One Ring and save Middle-earth. 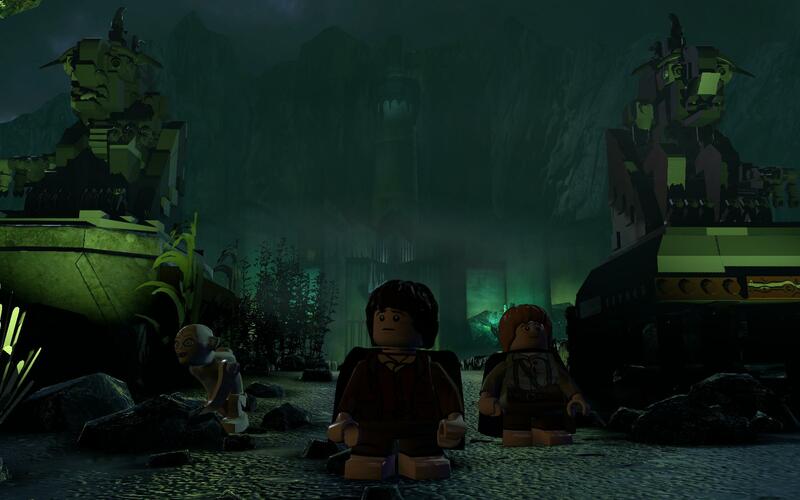 Kids, tweens, teens and parents can traverse the Misty Mountains, explore the Mines of Moria, knock on the Black Gate of Mordor, and partake in epic battles with Orcs, Uruk-hai, the Balrog and other fearsome foes while harnessing the humor and imagination of LEGO gameplay to solve puzzles and explore Middle-earth. Players will take on the form of their favorite members of the fellowship – Frodo the Hobbit, Aragorn the Ranger, Gandalf the Wizard, Legolas the Elf, Gimli the Dwarf, Boromir a Man of Gondor, and Frodo’s Hobbit friends Sam, Merry and Pippin – as they relive the most momentous events from the films. LEGO: Lord Of The Rings is awesome. After i saw this game being showing on Playr ..i thought that it was just the game i was after , a change from my usual FPS games i normally play ..i preordered it and received it last week . Positives - good graphics and sound ..the game looks great , a bit of hack and slash and a bit of puzzling - the in game sounds are also of a high quality , the cut scenes are both well done and amusing Negatives - only one but it is a deal breaker The controls , a poorly ported console game ..it is all keyboard controls which make jumping a lottery ...why do they not utilise the mouse control , use one mouse button for jumping and the other for the action key , it could have been a great game but its just an annoying chore . I spent most of the game checking which button my fingers were on It also crashed 5 minutes into the game , so i would save the game as often a possible. I may persever with the game but ive played it once and haven't had it on again A great shame as potentially it could have been great fun . 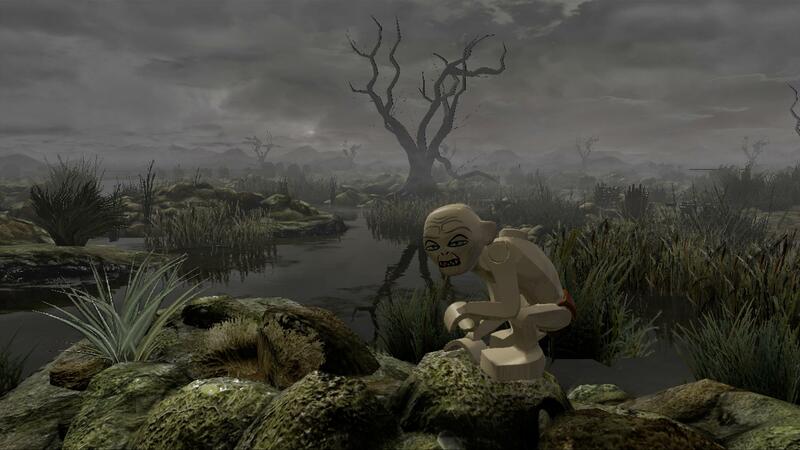 LEGO: Lord Of The Rings is not just for Lego or Lord of the Rings fans, as it has something for everyone. There is so much to do that it will keep you glued to your monitor for months. The atmosphere is electric and the humor is subtle, like playing catch with hobbits or racing on a pig. You have to look deeper into the game just to see how much they have put into this little gem. Everything you see and experience has been caressed in Lego to give this game a unique feeling. This is a must buy game for everyone.